Tom Petty performs at the first KCSN/88.5 FM benefit concert in 2011. Photo by Lee Choo. As many fond remembrances have been rolling in after the passing of Rock and Roll Hall of Famer Tom Petty, the California State University, Northridge community holds close its association with the rock star, who had a special affection and held benefit concerts for 88.5 FM and its original incarnation KCSN as well as other entities. “History will show that Tom Petty is one of the top American songwriters of all time,” said Sky Daniels, general manager and program director of the New 88.5 FM. “His appeal, and influence, have increasingly grown over 40 years. Every indie musician who walks into our studio kneels before the plaque that commemorates Tom and the Heartbreakers playing our first benefit in 2011. Tom did the unthinkable then. He offered to play a benefit for our nascent public radio station, while turning down an offer to headline the New Orleans Jazz and Pop Festival for $1.5 million. A Gainesville, Fla. native, Petty came west in the mid-1970s and formed Tom Petty and the Heartbreakers. What followed was a succession of hits, including such classics as American Girl, Breakdown, The Waiting, I Won’t Back Down and Free Fallin’. The latter had several references to the San Fernando Valley, paying homage to the area he called home when he hit the big time. 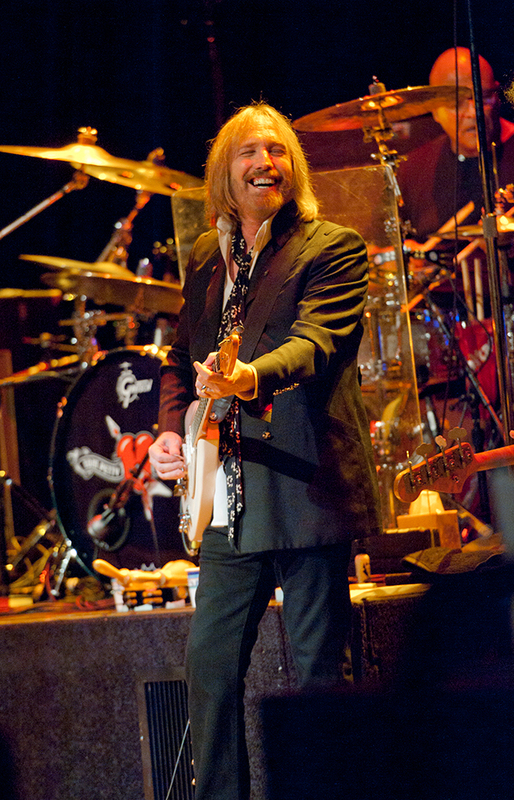 Petty was inducted into the Rock and Roll Hall of Fame in 2002, and was actively touring up until his passing, as he played three sold-out shows at the Hollywood Bowl in late September to culminate a tour to pay tribute to his four decades with the Heartbreakers. The lead Heartbreaker had a special connection to CSUN, as he viewed 88.5 FM as one of the last radio stations to help musicians launch their careers and to help them promote new music. In 2011, Petty and the Heartbreakers played the first benefit for KCSN/88.5 FM at the Plaza del Sol on the CSUN campus. Last year, Petty reformed with the band Mudcrutch, which predated the Heartbreakers, for a summer tour. The group kicked off the tour with Petty’s return to CSUN for a special two-night stay called From Northridge With Love, with proceeds benefiting the Midnight Mission.